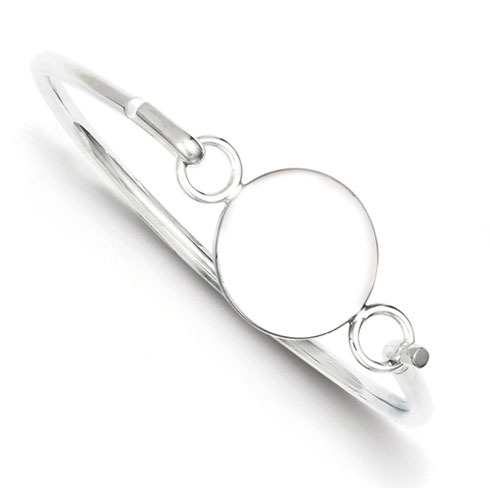 Sterling silver bangle bracelet has an engravable round ID plate. Weight: 17.79 grams. Measures 13/16 inch round. The round plate is slightly larger than a penny.